We are looking for enthusiastic, trade qualified HVAC Service Technicians to be part of our Service teams working on a variety of interesting sites and HVAC systems: Commercial Office, Education, Aged Care, Industrial Parks, Shopping Centres, Residential. If you believe you’re the person we’re looking for and want to be part of a fantastic culture that rewards hard work and dedication, please click the “Apply Now” button. Taylor Construction Group would like to take this opportunity to thank everyone involved from your company for their efforts in completing the Law Court project. We appreciate the hard work put in by all and understand that if it wasn’t for the collective effort, we wouldn’t have achieved such a fantastic result for the client, which allowed them to open each stage on their desired date. We have enjoyed working with you on this project and I hope we can continue the good working relationship we have formed on any projects that we may work on in the future. Hi Andrew, as you may be aware, we have recently completed the project at Waterloo Rd. Its pleasing to have Goodman respond so positively to the final product that we delivered. In particular, that we delivered a quality product that finished on time and within budget. As a Principal Contractor, we understand that we are only as good as our Subcontractors. Its only with the help of skilled and collaborative businesses like yours that we are able to deliver projects in the manner that we do. On behalf of Lipman I want to thank you and your team for their effort on this project. I hope to see you on the next one. Congratulations to receive recognition from the Green Building Council of Australia as member of the month. We also acknowledge Crest as one of the most experienced mechanical contractors with regard to VRV technology. On behalf of Taylors and our project team I would like to thank you and your team for all your effort, co-operation and commitment to ensuring a high standard of quality and safety on the project and successfully delivering the trade works on time and within cost. We look forward to the opportunity to work with you on future projects. Most of us would have to admit that we’ve had our share of mediocre service from companies in the past. However, some companies are starting to "get it". They realise that in today's global marketplace, consumers have a greater number of choices than ever, therefore they are providing better buying experiences for customers to inspire loyalty, rather than depending on fancy schmancy ad campaigns. So on behalf of Virgin Active Norwest I just wanted to pass on a big thanks to our air conditioning service provider CREST. You have been instrumental in providing quality service at all times and as operations manager for this proud health club, I could not ask for more from your entire team, whether it is your service technician Prav being pro-active in all his work or the service team and yourself responding to all of our issues in a timely problem free manor. Thank you for your support, it is greatly appreciated. We write to express our appreciation to yourself and your colleagues at Crest Air Conditioning following the recent successful completion of the Heart Research Institute. Ichor Constructions have noted the quality of workmanship, the standard of finishes and the work methods employed by Crest Air Conditioning in completing this project. We believe that the success of this project was due to the effects and cooperative approach taken by all the project team, including Crest Air Conditioning as the Mechanical Services Contractor. We thank you again for your support and cooperation during the Heart Research Institute project and look forward to continuing our working relationship on future projects. Engineering Partners have had a long and successful working relationship with Crest Air Conditioning. This relationship began in 1989 with the construction of a new 12 storey office building in Clarence Street Sydney. Crest Air Conditioning applied themselves very well throughout this project much to the client's satisfaction and to our knowledge still maintain the building to this day. Since that time we have been continually impressed with Crest Air Conditioning's professional attitude and dedication to providing quality air conditioning and mechanical services across a broad range of projects. We have been proud of our success with Crest Air Conditioning to this day. Some of the many projects worked on include: Data Centre - involving a major chilled water system Citywest Office Buildings, Pyrmont 55 Clarence Street, Sydney Parramatta Road, Strathfield Cancer Council 210 Clarence Street, Sydney Waverley College - Performing Arts Centre Blakehurst Aged Care Centre Engineering Partners have no hesitation in recommending Crest Air Conditioning to any prospective client. Five D is proud to announce that the Penrith Government Office Building which it manages on behalf of the State Property Authority has received the NABERS 5 Star Energy Rating. 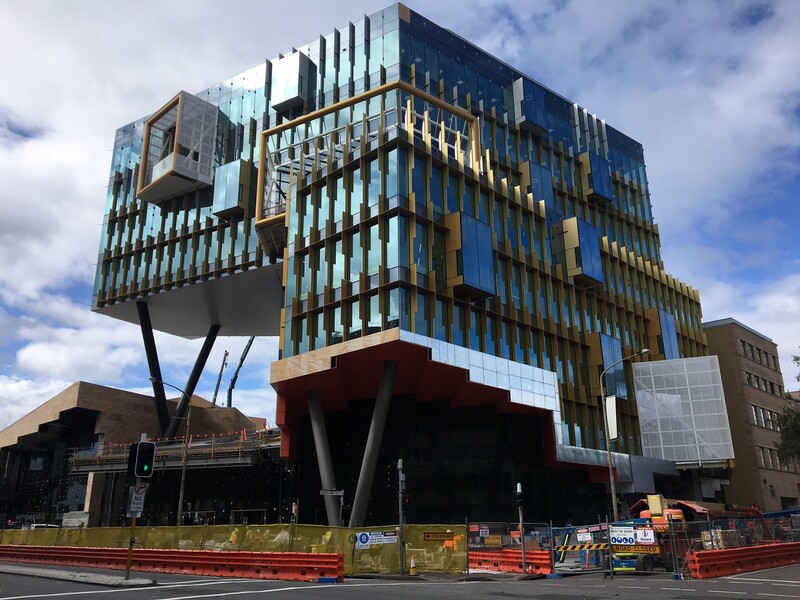 Five D Building Manager George Juhasz coordinated the strategy with a team of electrical and mechanical services contractors including CBUS lighting, Grid Electrical, Crest Air Conditioning-Tritech Solutions, Richard Crookes Construction and the State Property Authority. He spoke of the achievement stating “Our combined objective was to reduce the buildings’ carbon footprint by adopting good building management principles.” This achievement recognises the success of the ISO 14001 accredited environmental management system that Five D has developed along with its commitment to environmental sustainability. CEO of Five D Steve Mackintosh spoke of this commitment stating “We view our role in providing facility management services which support our client’s goals of sustainability very seriously and we seize every opportunity to demonstrate that we live by the principles that we espouse. This achievement is a testament to this commitment and will surely lead to more ratings of this kind.” Five D would like to thank all the agencies and organisations who assisted in obtaining this rating and look forward to seeing the benefits to the environment that it will provide.